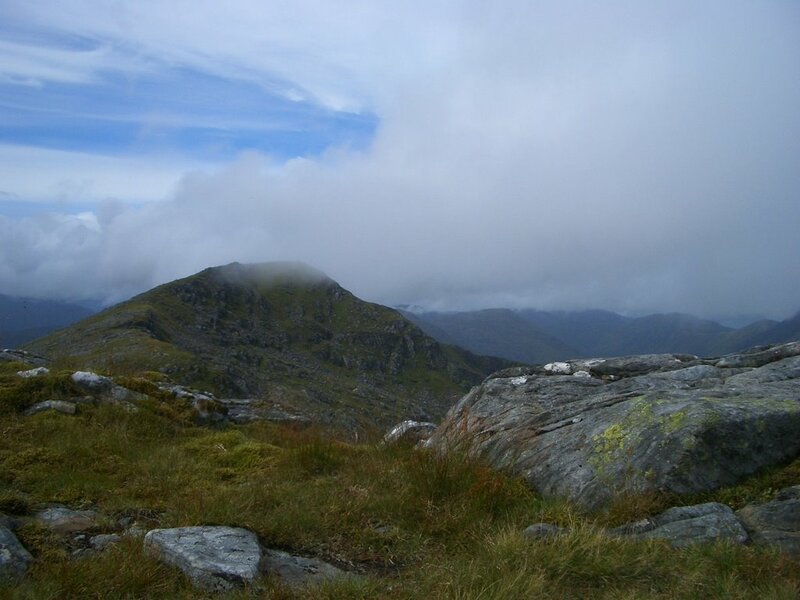 These were the first mountains I climbed with Jo. We had found a great B&B called Netherwood Cottage, just north of Invergarry for our base and our party consisted of 4 students (Ben, Richard, Jo and myself) fairly unused to hillwalking. We parked at the foot of Gleouraich on Loch Quoich in the fading drizzle. Since this is supposed to be the wettest area in the British Isles, we thought we were probably doing fairly well. 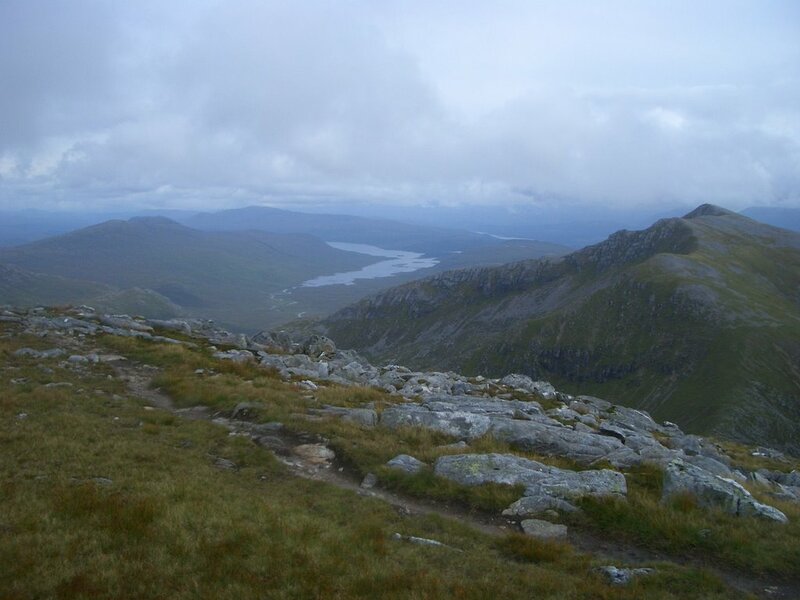 We took the excellent path which leads up the shoulder of the mountain, which only becomes less distinct just before the final climb to the summit. When we reached the summit, it was still just covered in mist, but as we headed off it cleared completely for a time. 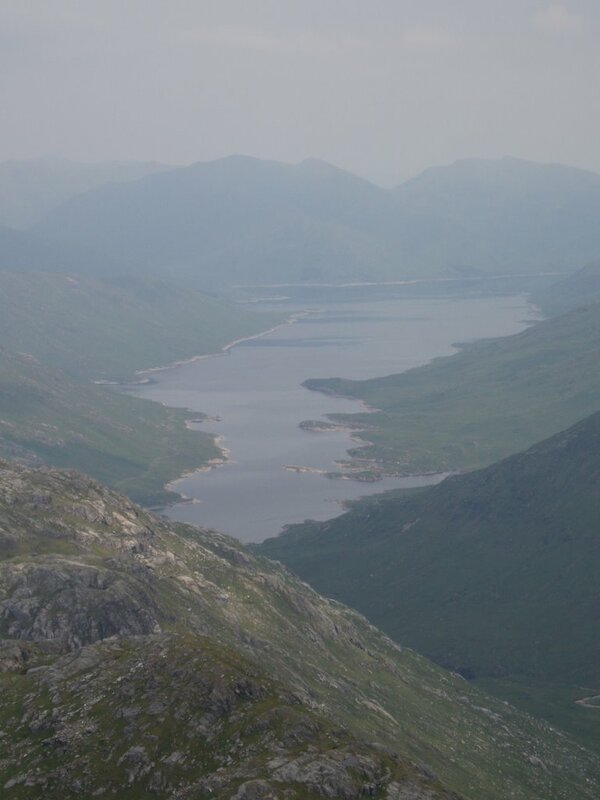 I read that Cameron McNeish had never known a good day in this glen, despite having visited it dozens of times. Well, we must have been lucky, seeing as it was clear and dry for most of our day. 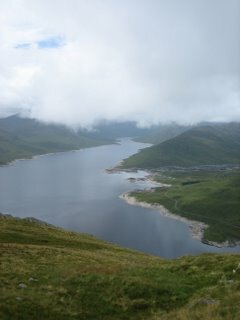 The walk accross to Spidean Malaich was fairly easy and when we got there the views were excellent. As we began our descent, however, the mist and rain did arrive. The path SSW from the summit wasn't great, but got us back after some slow boggy bits. It took us 6 hours, but that was at a fairly leisurely pace. 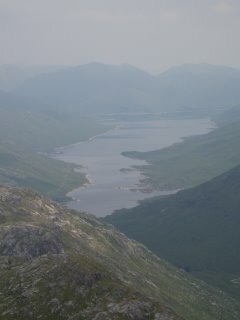 Loch Quoich to the west.